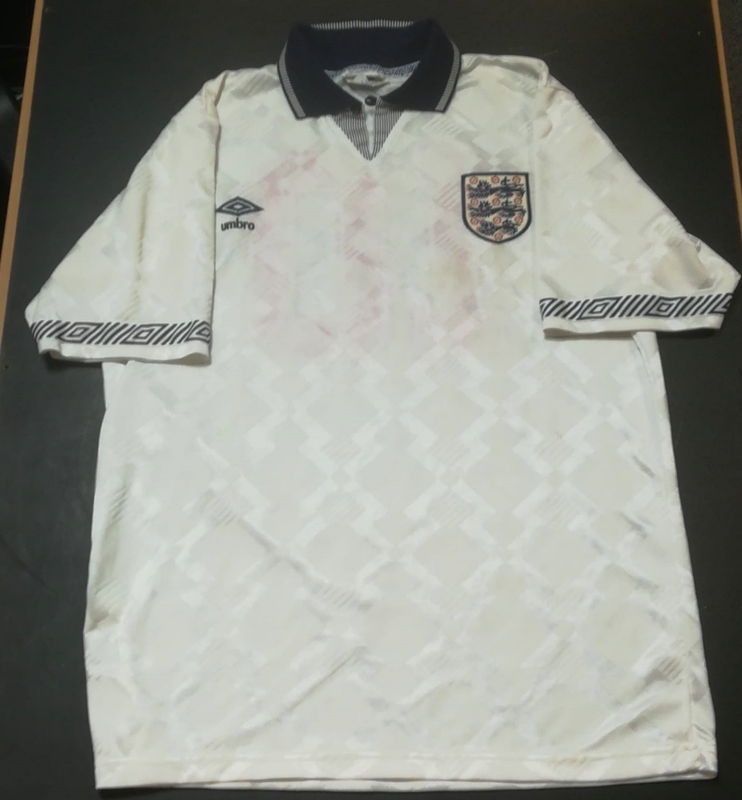 This shirt was a spare prepared for former footballer Nigel Jemson, who made his sole appearance for England in an under-21 game against Wales in late 1990. 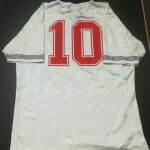 The shirt was swapped with Welsh international Brian Law, from whose collection it was recently purchased. 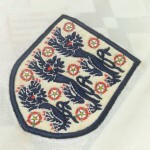 We actually already have Law’s matchworn Wales shirt from the game, having purchased Jemson’s collection previously – although Jemson has retained his own worn shirt from this particular match. Jemson is perhaps best remembered for scoring the winning goal in the 1990 League Cup Final, and for scoring for Shrewsbury against Everton in a 2003 FA Cup tie to send the Goodison side packing.